IMMACULATELY Kept & NEVER Rented, this 4 BD 3.5 Ba townhome has fabulous Views of the Entire Length of the Lake & Fountains from every Floor! Featuring A NEW MULTI ZONED HVAC System in 2017, a Tiled Sunroom adjacent to the Great Room Living Area, A Large 1st Floor Screened Porch & a Balcony from one of 2 Master Bedroom Suites, You'll feel RELAXED & at Home while entertaining Friends & Family in this Beautifully Decorated Home! An Open Floor Plan Featuring a Great Room w/Gas fireplace , Dining Area & Gourmet Kitchen w/a Large Breakfast Bar Seating 5 comfortably & a PANTRY complete the Living Area along with a Powder Room. This unit has 2 Master Suites ( 1st & 3rd floors) BOTH Walkin Closets & aPrivate Bath ( one has a dressing area). Tiled Kitchen, Tiled Baths, Tiled Entry & Laundry Area with a FULL Size Washer & Dryer. An Oversized 1.5 Car Garage. This townhome is Completely "Turnkey"! All you need are your FlipFlops & a Toothbrush to Begin YOUR NEW Coastal LifeStyle at the Beach !! 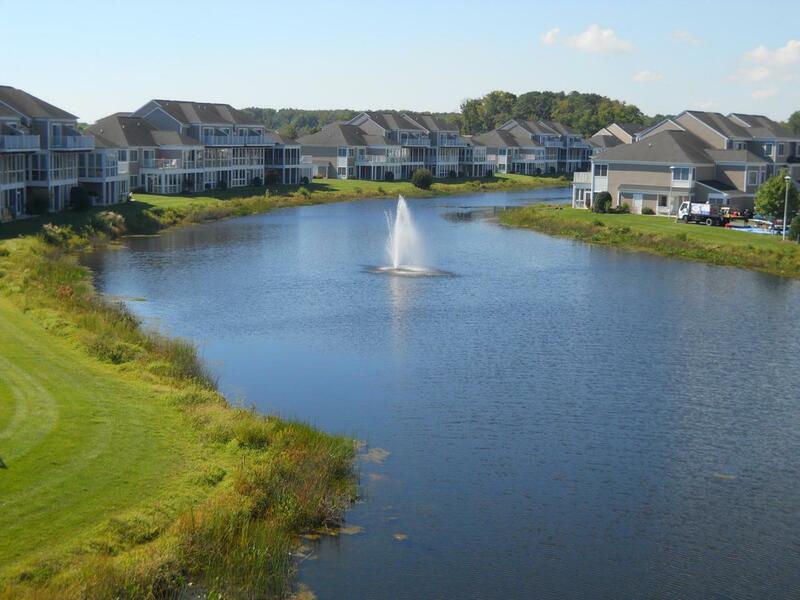 Located on a Quiet Cul De Sac, You're be just Steps to the Pool, Exercise Room, Community Piers for Kayacking , Fishing & Crabbing, Playground & Tot Lot, Volleyball, Even Tennis & Basketball Courts AND A BOAT RAMP for EASY access to the Assawoman Bay are in the Community! YOU can ENJOY ALL that Bayville Shores has to offer! If you're looking for a place at the Beach, this is ONE OF THE BEST Townhomes on the Market Today & Definitely A MUST SEE Property. Call to Schedule YOUR Showing!